Micky Sanchez, and Lauren Hoffmann, job placement specialists/career advisers, explore internship opportunities for PAC students. As students get closer to completing their degree programs, the word internship is tossed around. With an internship, students will receive on-site training in their chosen career. Internships, paid or unpaid, are appropriate to take during the junior or senior year of a bachelor’s degree; it is required by most universities before a degree can be earned, depending on the chosen industry. Some internships are available for Palo Alto College students, especially with the federal government and the City of San Antonio. Students should be proactive in researching internships since the qualifications are different for different companies and organizations. Marissa De Leon, a Liberal Arts sophomore and a dually enrolled student at Palo Alto and Texas A&M University-San Antonio, recently attended a meeting regarding an internship with Homeland Security. She is hoping this opportunity will get her foot in the door. “This will help me because after I intern there, I’m hoping to get a position in the department,” said De Leon. Internships can bring more contacts, better references and excellent networking opportunities. Students will work closely with professionals, gaining feedback that they can apply to future endeavors. Although this gives students the chance to test the waters and see how well they enjoy that particular field, internships must be taken very seriously. According to Micky Sanchez, job placement specialist/career adviser in Palo Alto’s Center for Academic Transitions (CAT Center), many students just want to try an internship to test the field out, and that is not what internships are for. When searching through applicants, companies look for students who have been proactive in their chosen field, through other internships, jobs or school organizations. Most companies look for students with high GPAs, usually above a 2.5. 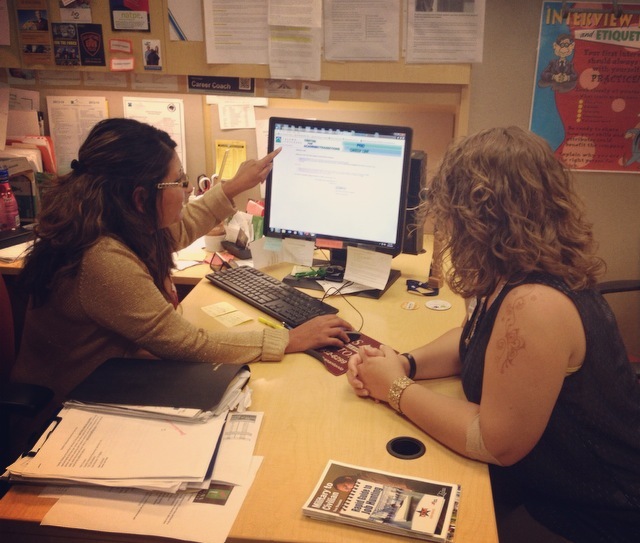 For PAC students, Career Services provides information on internships and jobs in the community. Students can access Career Services by going into the CAT Center, Student Center, Room 101, or through their website. Students must then create a profile on CSO Interfase-PAC Career Link, which takes 24 to 48 hours to approve. Once it is, the student will gain access to a variety of databases and will receive announcements on internships or jobs that apply to them. Students should go into an internship with an open mind, constantly looking for ways to learn. They should take advantage of the opportunity by leaving their ego at the door and learning to take constructive criticism. Internships should be treated like jobs.